1. Fujimi's latest KV-107/H-46 issue #72159, CH-46E (not CH-46D as reported previously) 'Dragons', has current USMC markings for aircraft from HMM-265 'Dragons' - based at Futenma in Japan, and from HMM-266 'Fighting Griffins'. Looking at the box-top picture, it has been speculated that unless they have also made changes to the plastic, some modifications may be required including IR jammers and missile approach detectors. Presumably they will have included the correct sponsons from one of the other kits in this series. Since Fujimi have never had either the UH-1N or the Lynx available in 1:48 previously, this is something of a mystery, and the appearance of these kits is awaited with considerable interest. We will not be very surprised if they turn out to be 1:72 after all. 3. Legato's 1:48 R-22 Beta II (box picture in HKN #182) has now been released. Also coming soon from this manufacturer, though actually being made by Miku, is a 1:72 SM-2, the Polish helicopter developed from the Mi-1 'Hare', #LK063. The boxart for this one shows OK-ROV, presumably one of the five machines exported to Czechoslovakia and operated by Slov-Air. 4. AFV Club have released their 1:35 Taiwan Army AH-1W Super Cobra, #35S21. This is an upgraded release of the MRC kit with decals for the Republic of China Army. The upgrade is a resin chin turret with turned aluminium barrels for the 20mm cannon. 5. Trumpeter's awesome 1:35 Mil Mi-24 Hind-E #35103 is now available. For full details go to Terry Ashley's first-look review at PMMS. 6. 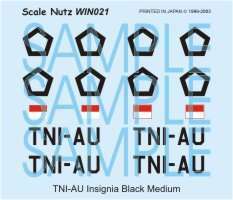 Anigrand Craftswork have released their next 1:72 resin kit, right on schedule. This is the Piasecki VZ-8P Airgeep, # AA2019. 7. Due this month is #09542 from Hasegawa, a 1:48 500MD TOW Defender from the IDF/AF. Combat Models, who usually do large-scale vac-forms, are threatening to produce a AH-56 Cheyenne, though it is listed here as being 1:72. Herb Deeks Models (a Sci-Fi outfit, judging from the rest of their listings) will make the Autogyro from the Alexander Korda movie 'Things to Come'. This had a pusher propeller within the tail-fin structure. Special Hobby are shown as having a 1:48 Piasecki H-21, could this be the same as the forthcoming kit from Fonderie Miniature? Unicraft are working on the Bell Eagle Eye UAV, in 1:72. In addition we have confirmation that Airfix will re-issue their 1:72 in a 'modified' but unspecified form, and that Sanger Engineering's 1:72 vacform Mi-26 is still on its way. 9. Don Bennett at Don's Model Works has bought the masters of all of the old Eagle's Talon kits, including the XV-3 Tiltrotor. Don is also the source for the Airmodel (1:72 Mojave) and Wings (1:48 Pitcairn autogiro & 1:72 Ka-1 'KaGo') vac-form lines. 10. 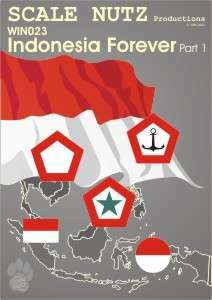 Scale Nutz from Singapore have sent images of their latest screen-printed decal sheet, 'Indonesia Forever part 1', #WIN023. It provides small & medium sized high visibility AURI, ANGK DARAT, ANGK LAUT, TNI-AU, TNI-AD & TNI-AL options. This will allow modellers to finish most Indonesian helicopters from any era with basic markings. They add that "with WIN021 and WIN022, you can have the TNI-AD Hind-F too". 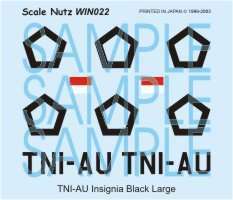 Other Scale Nutz decals issues before the end of this year will include upgrades of their existing RSAF Super Puma and Chinook sheets, this time using the screen-print process. 11. The Chilean decals that have been discussed previously on the HKN Forum are now available from Flightdecs. 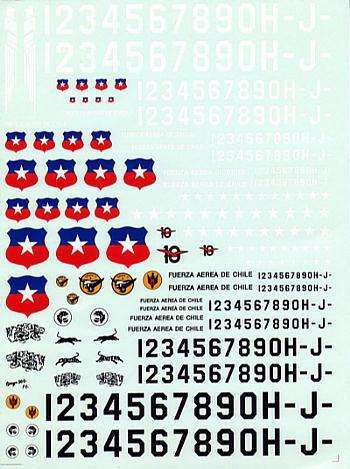 This sheet includes markings, national shield insignias and both black and white lettering in various sizes as used on FAC helicopters such as the UH-60 and UH-1H, among many others. 12. Someone called Moria Aranid in Cape Town, South Africa has made two sheets of Alps printed decals for SAAF helicopters. The quality is said to be good though the sheets are not surprisingly quite small, considering the subjects. The first is a sheet for SAAF Navy Wasps and a Scout (a gearbox ground test unit now preserved at the SAAF Museum, Port Elizabeth). It contains Navy/Floot logos, the tail pylon DANGER warnings, plus the same for the Scout plus a squadron crest. The second sheet is for the Alouette III, which has 16 items of stencil detail. Try Aviation Shop, or if that doesn't work, contact Colin Burgess (of ROTORcraft), who will try to help. 13. 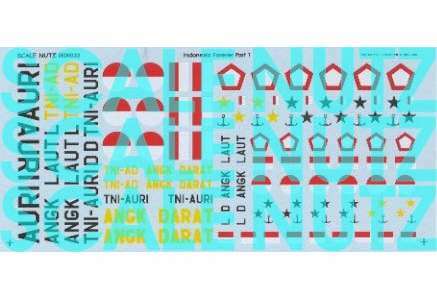 Twobobs Aviation Graphics have at last re-printed their much sought-after 1:35 AH-1W decal sheet #35-001. Don't miss out this time around, I hear they are moving very quickly. 14. Mike Grant (of Mike Grant Decals) is working on a full set of USCG Jayhawk decals for Cobra Company, to go with their HH-60J conversion set #48033. Bell/Boeing V-22 Osprey, by Bill Norton, a new title from Aerofax. 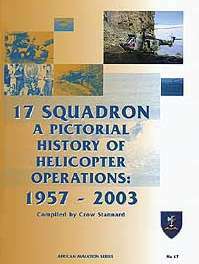 Classic Helicopters, a 56 minute CD / DVD visit to the Helicopter Museum, plus Shropshire Air Ambulances. Check at MCP for detailed descriptions, especially if you have deep pockets. Thanks to Jennings Heilig, Colin Burgess (ROTORcraft), Drew Graham, Tony Morgan, Arnold Chiu (Anigrand), and Y.C.Ha (Scale Nutz).